Keen-what?! Everything you’re dying to know about quinoa! Quinoa, pronounced keen-wah, is quickly becoming a popular food that can be found in health food stores and supermarkets across America. It is commonly mistaken as a whole grain, but is actually an edible seed from an Andean plant that originated in South America. Archeological evidence indicates that quinoa was domesticated as early as 3,000-5,000 BCE in Chile and Peru—it was a well-developed crop by the time the Spanish had arrived. This little powerhouse is often referred to as a superfood, and for good reason! It is a complete protein, meaning it contains all nine essential amino acids that cannot be made by the body. In addition to its high protein content, quinoa is high in antioxidants that give it anti-inflammatory properties and help to prevent damage in some types of cells. Quinoa also contains omega-3 fatty acids. Omega-3’s are healthy fats that are very good for you, but similar to the essential amino acids, omega-3’s cannot be made by the body. This makes them an essential part of your diet! Additionally, quinoa has a low glycemic index, which means it raises blood sugar slowly and thus will result in longer satiety and greater control over cravings. Quinoa is also high in fiber and minerals such as magnesium, potassium, zinc and iron. Cooking quinoa is very similar to cooking rice. In a pot, combine 1 part quinoa to 2 parts water (1 cup of dry quinoa to 2 cups water, for example). Before you cook it, however, it should be rinsed in order to remove the saponins that give it a bitter taste. You can also soak the quinoa for a few hours to reduce phytic acid content. 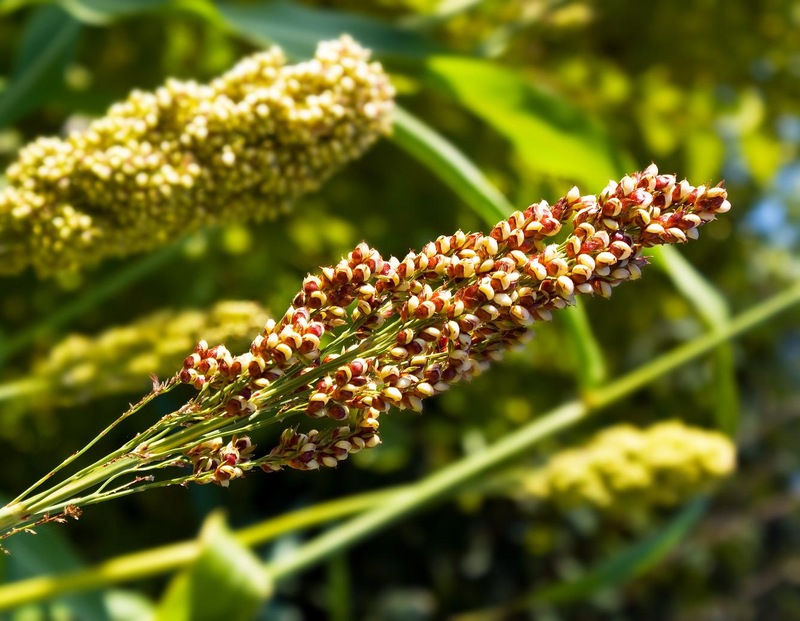 Phytic acid makes the minerals in the quinoa more bioavailable. After the quinoa has been rinsed it’s ready to be cooked! Bring it to a boil, then reduce the heat to a simmer and cover the pot. It’s done when the water is gone and the quinoa looks fluffy. One of the best things about quinoa is its versatility! It’s delicious hot or cold, in salads or chili, burgers or cookies, the list goes on and on. It also has a lot of friends; it goes well with greens, root vegetables, stir-fries, nuts, and even several fruits for breakfast. The seeds can be ground into flour, which is used in many commercially produced gluten-free products. So pick up some quinoa next time you’re out grocery shopping and give it a try! There are several varieties, including white, red, black, and rainbow quinoa. Don’t know where to get started? 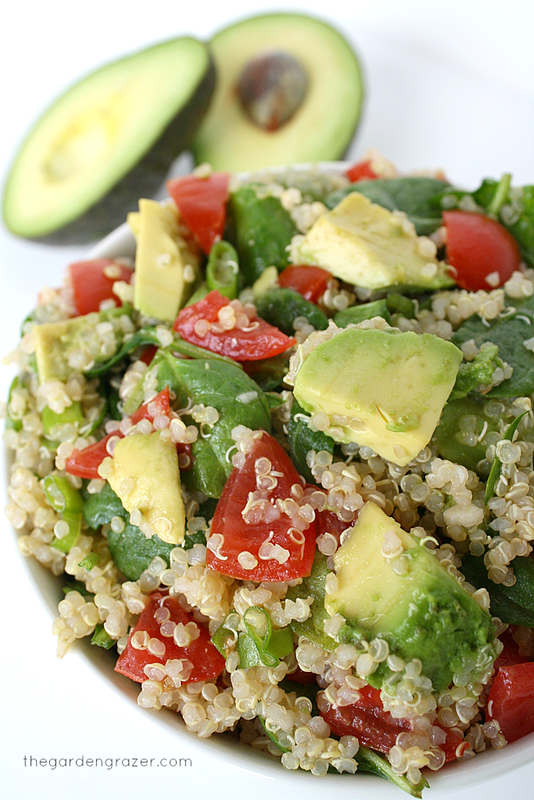 Try the Cucumber & Tomato Quinoa Salad recipe below! Add quinoa and 4 cups water to a pot. Bring to a boil, then reduce heat and cover; simmer for about 15 minutes. Refrigerate after it’s done. Wash the cucumber and tomatoes, then chop them into bite-size pieces and set aside in a medium-sized bowl. Cut the avocado in half, then slice that into bite-size pieces as well. Chop the basil and parsley and add them to the bowl, along with the thyme and oregano. Toast sunflower seeds on the stove until slightly golden. Add to bowl with cucumber and tomatoes. Combine everything in this bowl with the chilled quinoa. Add the pesto and extra virgin olive oil to the quinoa mixture, then toss to combine all ingredients evenly. Add salt and pepper to taste. Enjoy! !